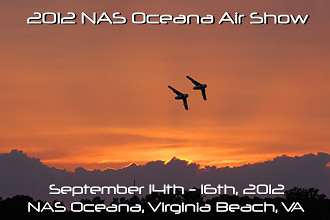 Naval Air Station Oceana in Virginia Beach VA once again welcomed the air show community through their gates. After Mother Nature was less than cooperative for the show last year with 3 days of rain and pretty much canceling 90% of the acts, she more than made up for it with 3 days of great weather. The show was held on Sept 14th-16th. Oceana has a great night show which they open up to the community Friday evening after the Friday practice sessions are over. The Show started at 5pm with the F-18C Legacy Hornet which was teamed up with a SB2C Helldiver after the Hornet demo thrilled the crowds. This is the only operational Helldiver flying today. They performed their US Tailhook Legacy flight showing the Navy of yesterday and today. Not to be out done by the Navy, the QF-4 Phantom took center stage. The QF-4 is a drone variant of the Phantom which will eventually be a target of a live missile ending its impressive career. The F-16 East Coast Demo from Shaw took off to meet up with the Phantom to perform their US Air Force Heritage Flight. Sadly, once all the QF-4�s are gone, the F-16A�s will be the next aircraft used as drones. The Black Diamond Jet Team took to the skies next with a beautiful setting sun as its back drop. This team has 4 L-39�s and 2 Mig-17�s. 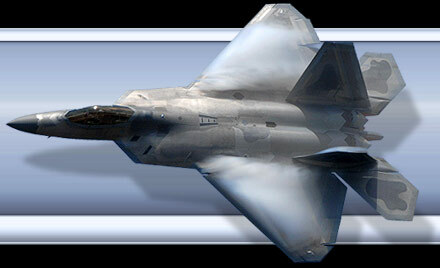 The Migs are flown by well renowned Dale �Snort� Snodgrass & Mike �Buick� Eberhardt, both USN retired veterans. These two guys are flying as close as the Blue Angels or Thunderbirds, they were amazing! The Friday evening show was closed with the F/A-18 Super Hornet afterburner fly over and ended with Fireworks. Both F-18 Demo teams are based at Oceana and are part of the VFA-106 Gladiators. Saturday was another beautiful day, mid 80s and puffy clouds dotted the sky. One of the interesting acts was a Yak-9 which they explained all the parts were found in a Russian warehouse. The plane was only built in 1997, but all the parts were from the mid 40�s. He teamed up for some passes with the Black L-39 to show how the prop planes had to our maneuver the faster jets that were entering the war back in the day. After the F-18C Legacy Demo came a great act that Oceana does called the Fleet Demo. This consists of both Legacy and Super Hornets taking off and acting out a mock attack on a target coming in from different locations showing different attack patterns the Navy uses and a little pyro for some effects. The British Red Devils Parachute team performed their Mass Jump from a Navy C-2 Greyhound. The Black Diamond Jet team followed up next and the US Air Force Heritage Flight teams in the QF-4 Phantom and the F-16 performed their demos. The F/A-18F Super Hornet took to the skies for its incredible demo providing lots of vapor shots for the crowd. After the US Navy Tailhook Legacy flight with the Helldiver the sky was given to the US Navy Blue Angels. It was so nice to be able to see the show this year after our 12 hour drive one way. I would like to thank the Public Affairs of NAS Oceana for their support and Mother Nature for making this a great show.